Derriford Hospital provides a complete and comprehensive cancer service for patients of all ages, throughout their cancer journey. Sometimes an operation to remove the cancer might be the only treatment you need. But very often treatments such as chemotherapy and/or radiotherapy are used along with surgery. The operation you have will depend on the type of cancer you have and other factors like where it is and its size. Surgery isn’t only used to remove cancers. For example you may have a minor operation to take a biopsy, which is when a sample of tissue is removed or having a central line put in, which is then used to give chemotherapy treatment. The thought of having any type of operation can be a bit scary. But knowing a bit more about what to expect can help you feel more prepared. Bracken Ward on the 8th floor of Derriford Hospital has 10 inpatient beds all of which are private rooms, one is especially designed for your age group, these rooms include un- suite facilities, smart TV’s, X-box Kinect, a common room and a private quite room for patients, visitors and staff. This unit caters for patients with diseases of the blood, both malignant and non malignant and provides comprehensive diagnostic services and continuing management to these patients. Derriford Hospital covers a wide geographical area and patients travel from our partnership hospitals throughout the southwest to receive specialist care such as Stem Cell transplants from both sibling and volunteer donors. The stem cell transplant unit has full accreditation from JACIE. We have an active Haematology Research Trials unit with a wide portfolio of clinical trials for malignant and non-malignant Haematology disease. Brent Ward on the 8th floor of Derriford Hospital has inpatient beds, which include 7 side rooms. Macmillan Cancer Support has provided an information pod with leaflets, resources and a PC, you may access this at any time whilst an inpatient. Outpatients is situated on Level 2 of the Hospital. Chemotherapy Outreach Project provides cancer care in the community and enables patients in more rural areas to receive treatment for cancer closer to home. 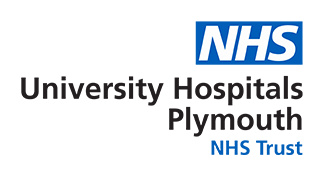 Currently, this means that many patients can receive their chemotherapy, cancer information and support at local community hospitals in Tavistock, Kingsbridge and Liskeard, preventing a long journey to Derriford Hospital in Plymouth. You can find out more about Chemotherapy Outreach here. Radiotherapy is the controlled targeting of radiation (beams of energy) at cancer cells. The purpose of radiotherapy is to destroy cancer cells whilst protecting as much normal tissue as possible. Radiotherapy is situated in The Oncology Out-Patient Department on Level 2 of the hospital.